Announcements > Internet problems? Check your equipment. Internet problems? Check your equipment. Alpine Communications updated speeds to Gold, Platinum, and Diamond Internet customers in August. 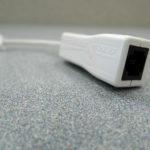 As part of the speed upgrade process, a number of connection and wiring issues have been reported by customers, thus affecting Internet speeds. 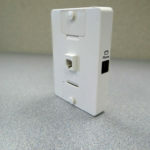 We find most often the issue is caused by improper Internet wiring includes the connection of devices such as modems, filters, phones, satellites, fax machines, out buildings, outside ringers, etc. Most problems can be fixed in less than 5 minutes. We find most often the issue is the filtering of the telephone wiring. All telephone, satellite, and fax lines need to be filtered. Modems should not be filtered. You may however, have a split filter. This filter allows for both phone and internet to connect to the same jack. Filtering is necessary because Alpine DSL service runs on the same line as voice services, but is delivered at a different frequency. Therefore, everything but the modem needs to be filtered to allow both services to run on the same line and prevent frequent disconnects or slower Internet speeds. Important! Do not use a filter on your modem. 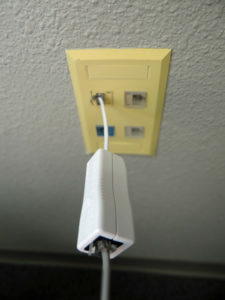 Split filters allow for both telephone and modem to be on the same line. Wall filters fit over wall jacks. 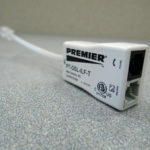 In-line filters are used on telephones, satellites, fax machines, etc. Proper filter installation looks like this. The filter is plugged directly into the wall jack and the phone cord is plugged into the filter. Check the line going from your telephone jack to the back of the modem.. 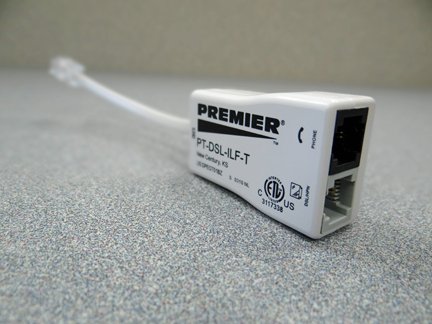 Some modem lines have a split filter, or splitter, on them. This allows for one jack to have both a modem and a telephone. The splitter may or may not be a filter. 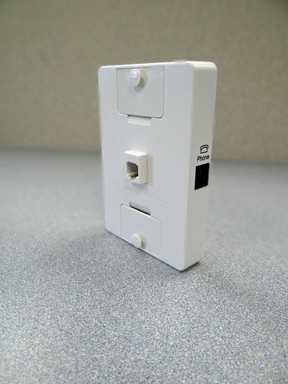 A splitter will be plugged into a phone jack and allow for a telephone and modem line to plug into it. 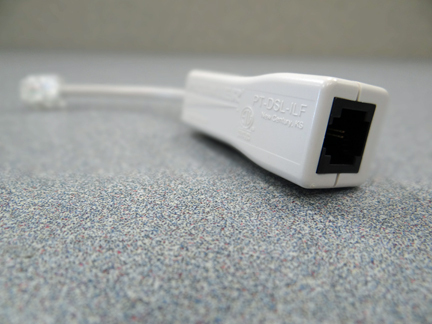 Check to make sure these lines are plugged into the correct ports. 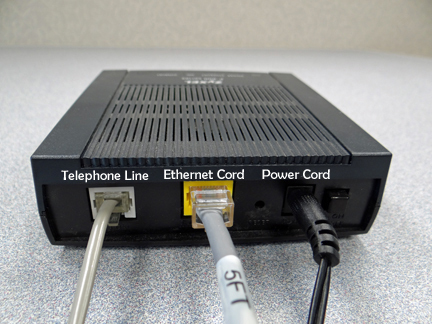 The splitter ports are marked with a telephone and a computer monitor image. Check outbuildings for phones. These are the most commonly forgotten phones. Check your satellite TV. A filter needs to also be plugged into the jack and the cord from the back of your receiver should be plugged into the filter. If you are confident all of these devices are filtered correctly, your filters may be faulty. Stray voltage during electrical storms can damage filters. Please contact our business office to purchase additional filters. Once you have checked that your modem and filters are properly connected and your Internet is still not as fast as you expect it should be, please call Alpine and we will recheck your modem speeds. If these items do not take care of the issue, Alpine offers home and business networking service to help you achieve optimal connection speeds and our technicians will ensure your Internet network is working properly. Labor rates may apply. Please call us 563-245-4000 to make an appointment for home and business networking. Alpine’s business hours are Monday – Friday 8:00 a.m. – 5:00 p.m.